Click Here to search active listings on your phone, computer, or tablet. In November, Denver home values grew by 15.5 percent, marking the 10th consecutive month in which Denver has booked the fastest appreciation in the U.S., according to a report from Zillow. And for the year, Denver-area home values rose by 12.8 percent more than three times the national average in 2015, according to the same report. Renovation: Is it Worth the Cost? 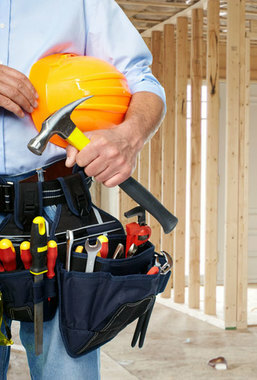 A stressful part of putting your home on the market is determining what to fix and upgrade to get the very best price. 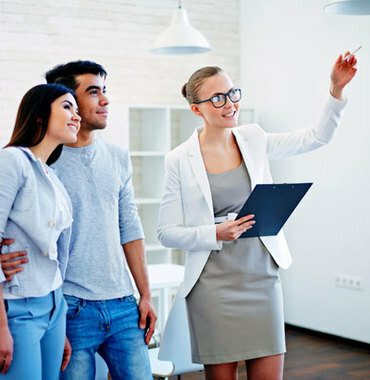 Rely on your real estate agent to recommend which projects to consider and which to avoid. Putting money into renovation doesn’t always mean you will recoup the money in a sale. You may want to consult Remodeling’s website for their most recent Cost vs. Value Report for a breakdown of typical returns on renovation projects large and small in various regions throughout the country. While your needs and budget will have a big impact on your choice of home-improvement projects, it helps to know the cost vs. return ratio when making the final decisions. Generation Y is in the works to rewrite history. 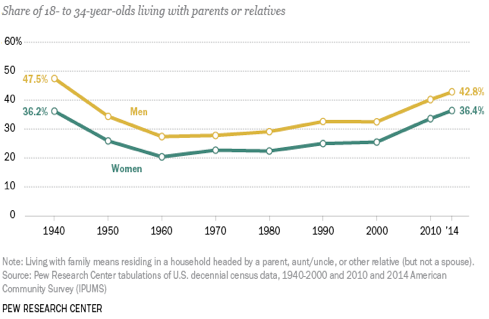 The percentage of young adults living with parents is in direction to surpass the peak set in 1940 according to the data provided by the Pew Research Center. In 1940 men were staying home primarily due to economic factors from the Great Depression. Women for the most part stayed at home until they got married as social norms discouraged women from pursuing higher education or a career outside the home. The 2008 Great Recession has affected the U.S. economy dramatically. Milleninnials with college degrees have had a difficult time finding gainful employment. The economy has picked up since 2008 but millennials are still not moving. Many are using the money they are saving by living at home to pay off hefty college loans rather than on a home of their own. What to do in Denver this month! Ring in the New Year with some can't-miss activities happening in Denver! The National Western Stock Show runs until January 24. Bulls and broncs, cowboys and cowgirls - rodeo's biggest superstars perform amazing feats of athleticism during each performance of this professional rodeo! It's the perfect time to enjoy some outdoor skating at the Southwest Rink at Skyline Park. Southwest Airlines and the Downtown Denver Partnership invite you to grab your family and friends and head to 16th and Arapahoe in Downtown Denver for some ice skating fun! Open now until February 15. January is also a fantastic ski month in Colorado. For the best experience, be sure to avoid the busiest and most traffic-heavy days by going up on non-holiday weekends. Monday, January 18th is Martin Luther King Jr Day, and the ski resorts (as well as I-70) will be packed. Try instead planning for the next weekend of January 22-24. To avoid most traffic on the trip West, try being West of Golden by 6:30am or earlier. On the way home, consider leaving the resort by 1pm on Saturdays or Noon on Sundays, or grab dinner at any of the outstanding restaurants up there and head home when the traffic is largely over after 6:00pm! With your agent at your side, be sure that obligatory repairs flagged during the home inspection are completed to code and satisfaction. If the seller agreed to replace an aging water heater but didn’t do it, this must be accounted for during settlement.